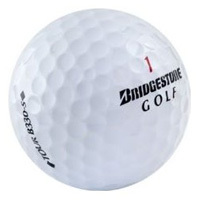 This reworked players ball from Bridgestone has lots of new innovation with softer and more activated core. It has has a graduated hardness toward the outer core, coupled with an improved dimple pattern will reduce spin on drives but allows for more spin through irons & wedges. Your drives will get a better trajectory and keep it longer. The outer dimple promotes a more shallow descent angle, which should create more run in the fairway for added yards. This ball definitely competes with the Pro V1x in distance, and tour performance. Just for a bit of technical jargon, the new technology is called Hydro-Core. The urethane cover is softer than in the past for better feel around the greens. Price range $35 to $45.